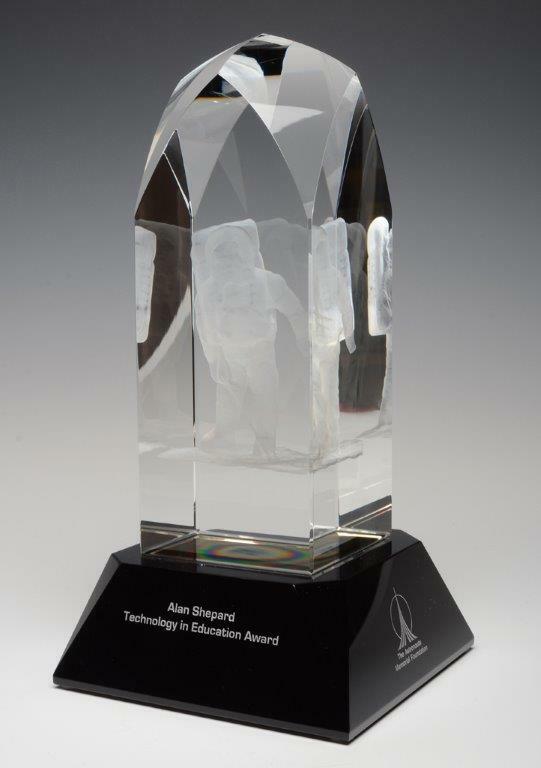 November 16, 2016 – Educators who have demonstrated a commitment to inspiring students’ interest in science, technology, engineering and mathematics (STEM) may apply now to receive the 2017 Alan Shepard Technology in Education Award. Given annually by the Astronauts Memorial Foundation (AMF), the National Aeronautics and Space Administration (NASA) and the Space Foundation, the award recognizes contributors to technology in the education field, in both formal and informal environments. The award, named for Mercury and Apollo astronaut Alan Shepard, will be presented on April 3, 2017, during the opening ceremony of the Space Foundation’s 33rd Space Symposium at The Broadmoor in Colorado Springs, Colorado. Find the award application online at www.astronautsmemorial.org/alan-shepard-award.html. Submissions for the 2017 award must be mailed and postmarked no later than Wednesday, February 1, 2017. The recipient will be selected by February 20, 2017.